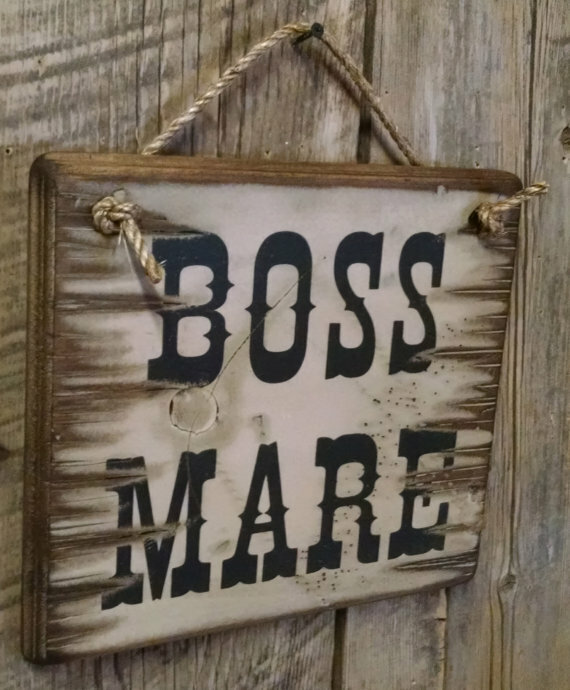 Boss Mare! Yes, please! 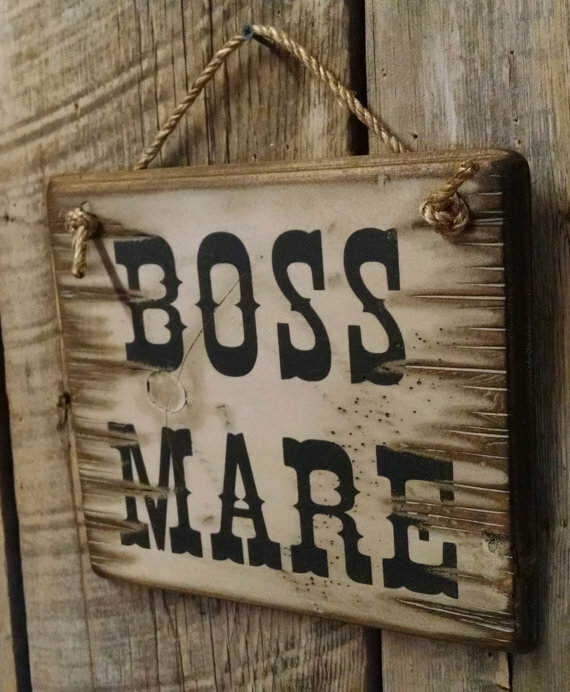 Sign me up for one of these… then no one will question who's boss! 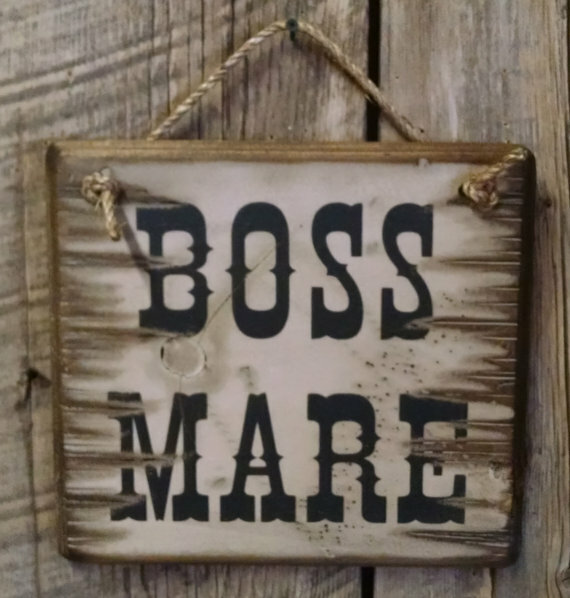 This white background sign measures 12x12 and comes with the grass rope hanger for easy hanging! Handcrafted with pride!